Here we have one of the famous Oahu Tonemaster Lap Steels from the 1950s. Back in that time the Tonemaster was the lap of choice among professionals and still is a highly demanded instrument. All parts are original. The guitar is in great shape featuring a bone nut, square-covered style tuners, ash tray cover, and tobacco brown two-tone finish. We have the original hardshell case which has some usual signs of wear but still is in fine condition. 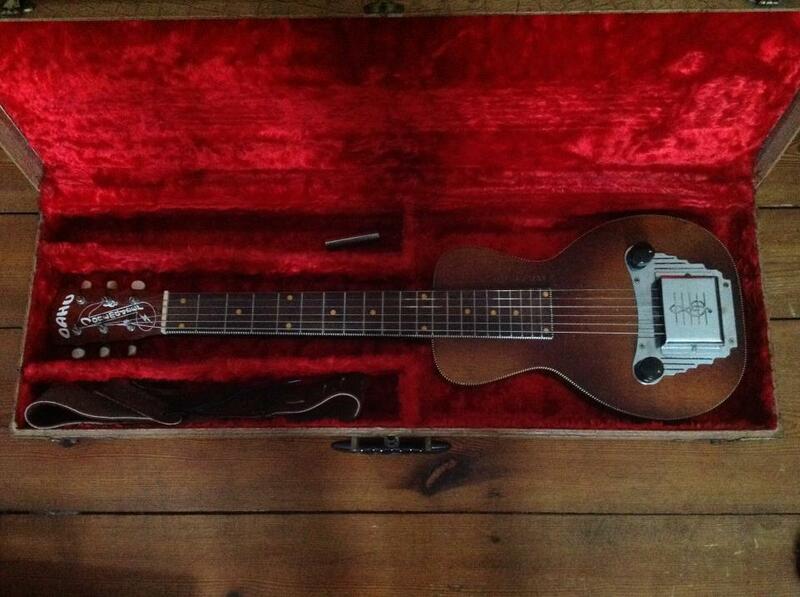 Photo of the Lap Steel in the original case.